It's that time of year again when I extol the virtues of the London Gold Cup Handicap and why it's the easiest way to find winners on the flat. I always pay attention to this race and have had a lot of success backing horses that run again from this 3yo handicap. Only 11 horses go to post this year but, as usual, the race is full of lightly raced, unexposed 3yo's who will no doubt go on to better things. In today's post I'll show you the record of the runners from last year, previous renewals of the London Gold cup, the best way to back the runners and then go about trying to find the winner of today's race. 1st DEFOE - Won 5 of his next 6 starts with the only defeat coming in the 2017 St Leger. Has won 2 x Group 3's and a Group 2. 4th CENTURY DREAM - Won 4 of his following 5 starts in handicap company that Season. Won a Listed race at Ascot last time out. 7th CONTRAST - Didn't run again last Season but won on his second start on the AW this year. 8th BUSH HOUSE - Won next time out on the all weather but then beaten on his next 3 starts from a higher handicap mark. 10th ALHAMDANY - Gelded shortly after the race. Won at Kempton on the AW in early November but beaten in all 5 starts this year. Plenty of subsequent winners among the field that year with some at big prices. The winner didn't manage to win in 4 subsequent races but did run in the Group 1 French Derby on his next start. He returned to handicapping at the end of the Season where he managed a couple of places. The 3rd home returned to Newbury on his next start over 1m4f and won at 4/1. The 4th went on to run a great race at Royal Ascot and won at that track later in the Season at 10/1. The tenth home won his next start at Epsom at 25/1. The 11th, 12th, 13th and 15th placed horses all won a race before the end of the Season. All of the wins from this year came from the top 6 finishers. The winner won the Tercentenary Stakes at Royal Ascot on his next start and later in the Season won a Group 2 race over 1 mile at Newmarket. The third, fourth and ninth didn't win in their subsequent runs at 3 but all won as 4yo's. The 5th home won next time out at Newmarket then followed up at Royal Ascot at 9/1. The 6th home won at Glorious Goodwood at 11/1. The last home didn't win in his two subsequent 3yo races but was placed both times at big prices. Only the winner won again but the runner up turned out to be a very useful performer. The winner won his next start at Royal Ascot in the Tercentenary Stakes but didn't run again that Season. He won the Grade 1 Woodbine International as a 4yo. The runner up was unsuccessful in 5 subsequent 3yo starts but was runner up in three of them including at Royal Ascot and two Group 3's. He was also 4th in the St Leger! The 5th home got beat in his next 4 starts but began his 4yo career by racking up a hat-trick of wins. The runner up won two good handicaps later that Season. The third didn't win as a 3yo but won a race in each of the next 3 seasons. The fourth was another not to win as a 3yo but he did go on to win a Listed race at Goodwood as a 4yo at 25/1. The beaten favourite this year was the ill-fated Thomas Chippendale who won his next two starts including a Group 2 at Royal Ascot (he won again at Royal Ascot the following year). The 8th won another two races as a 3yo on the flat and then a further two went sent over hurdles later that year. The 9th was another to win twice when sent over hurdles later that year. 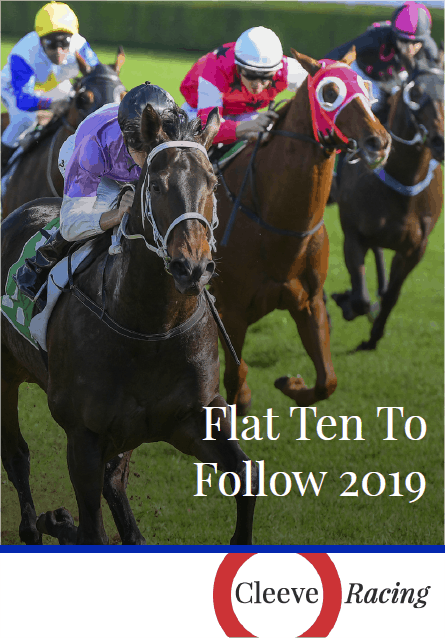 The 10th won on his 6th and last start as a 3yo at 9/1. The 12th won on his 3rd and last start as a 3yo at 7/2. The winner was runner up in Group company on his next 3 starts at 3 but as a 4 and 5yo won 5 consecutive Group races including three Group 1's. The runner up won a handicap at Glorious Goodwood and the third won a handicap at Newmarket's July meeting. The fourth managed two short priced wins in minor handicap company later that Season. The fifth won a handicap next time out by 5 lengths, then ran 3rd in a Group 2 race and would go on to win the Group 1 Hong Kong Vase. The last home won next time out at the Epsom Derby meeting. The first two home made up into Group performers and the favourite would win a couple of decent handicaps but the rest were on the whole, pretty rubbish. The winner followed up in a Listed race at Newmarket but the runner up won his next two starts including a Group 2 at Royal Ascot. He would go on to win the Group 1 Dubai World Cup at Meydan. The favourite finished 7th that year but would win 2 of his other three 3yo starts including a handicap at Glorious Goodwood. The ninth home would go on to win plenty of races including once as a 3yo. The 14th home managed a win later on that Season in an all-weather claimer. The runner up came back to form after a disappointing summer to win at the end of the season at 20/1 which was a similar story for the 5th home although he was only 5/2 when scoring in December. The 6th home won next time out at Epsom's Derby meeting at 16/1. The 8th also won next time out. The ninth home ran 11 more times as 3yo winning on four occasions and ended his season running 4th in the Grade 1 Woodbine Stakes. So I tried three criteria to see if that would be any more profitable. First I looked to see what difference it would make if we simply stopped backing them once they had won (Stop At A Winner). It turned out that this wasn't much better than backing them all on every subsequent start but it did have some very profitable Seasons. And finally, I simply researched the first 2 horses home plus the favourite if he was beaten (First 2 Home + Fav). Very profitable up until 2013 but not so good since then. Which would seem to suggest that if you are going to back every runner from the race then the best time to do it is on their next start but the best system of these used to be simply concentrating on the first two home and any favourite that ran down the field. Surprisingly there have been 3 previous winners to have had their last run at Leicester. Two of those came in the 1m2f 3yo maiden at their end of April meeting three weeks ago. Mekong won that Leicester Maiden this year. CONNECT - Has the best form in the book by some way (they don't get top-weight in a handicap for nothing!) with a Listed success at Pontefract on his final 2yo start. Was last of 7 in the Greenham first time up this year but was only beaten 4 lengths in total and just over 3 lengths by the recent French Guineas second Hey Gaman. This is a big step up in trip (7f - 1m2f) and against more unexposed rivals he may struggle to give the weight away. MASAARR - A decent introduction at Newmarket in a hot maiden and subsequent easy AW novice win in two juvenile races last year. Beaten at odds on first time up this Season but bounced back to score comfortably in a mile handicap at Doncaster last time out. He's up 8lb for that win and up another 2 furlongs but on breeding there's no reason to doubt his stamina and the stable won this race last year with subsequent Group winner Defoe. Respected. DUKHAN - Off the mark at the third time of asking as a 2yo when beating Communique by a length at Chelmsford last October. Short head second to a decent Godolphin horse in a 10f handicap at Newmarket first time up this year and then placed again at the same track from a 6lb higher mark on his next run where the rider lost his whip. Up another 1lb leaving him 10lb worse off with Communique for the length he beat him last year. Looks a stiff ask though he does have Frankie on board. LOYAL PROMISE - Unraced at two and beaten 6 lengths by the smart Grondowski on his racecourse debut in February he wasted no time in getting on the scoresheet with a comfortable novice win just over 2 weeks later (runner up won his next start off 80). He finished a creditable third in another novice event on his first run on the turf a month ago but he's no handicap snip from an opening mark of 90. POET'S PRINCE - Just a small novice win from 6 runs as a 2yo but has been a revelation since running over 1m-10f as a 3yo with 3 wins and 2 seconds from 5 starts in the last 10 weeks. He's a lot more exposed than most of these and is up another 5lb for a recent win on the all weather at Chelmsford but he won with something in hand that day and may not have stopped improving just yet. CHIEF IRONSIDE - Has only run three times in his career but promise in sole start as a 2yo and then a maiden run over a mile at Newbury first time up this year. Raced prominently at Chester last time out before kicking on 2f for a comfortable 3 length in a 10f maiden. Not much between him and Mekong on a line through the fourth home that day Baritone and he should be right in the mix here. HE'S AMAZING - Definite promise in two starts as a 2yo when 3rd and 2nd in a pair of Newbury maidens. Started this season as favourite for another Newbury maiden but had to settle for second again behind an impressive winner. Had Chief Ironside a bit behind him that day then won on the nod in a handicap at Newmarket next time out where Dukhan was beaten nearly 3 lengths in third. The runner up did little to frank the form next time out but even with a 6lb rise for that win it's easy to make a case for this progressive horse. MEKONG - Looked a middle distance horse in the making in two starts at 2 with a staying on 6th behind Crossed Baton on debut followed by a 4th when trying to make all over a mile at Chelmsford in a maiden won by Dukhan. In one run this Season he took a 10f Leicester maiden from a more fancied stablemate who has subsequently been well behind Chief Ironside. Looks sure to appreciate a step up to 12f in time but needs looking at here as the stable have a good record in the race and the maiden he won at Leicester has a good record of providing win and places in this race. GLENCADAM MASTER - Progressive in three runs as a juvenile finishing 3rd-2nd-1st with the win coming over a mile at Kempton just before Christmas. He was sent off as favourite for a informative handicap at Sandown at the end of April but disappointed when only 4th of 5 with Communique 11 lengths in front of him. The Gosden stable's form was a bit in and out back then and on better ground it's possible he can finish a lot closer to that rival today. COMMUNIQUE - Still a maiden after 4 runs but he has good form with a few of these runners that puts him right in the mix. Second to Dukhan over a mile last Season with Mekong in fourth and then some way in front of Glencadam Master on his handicap debut last time he has nothing to fear from those rivals on a literal reading of the form. He races from the same mark as that day and is a big player here for a stable that had the third last year. MASTER OF WINE - Excellent debut 2nd over 7f at Sandown with Connect behind in 4th last Season, he wasn't as good next time out when down the field when favourite in another 7f maiden over the same course and distance. He was subsequently gelded and was off the track from August last Season until making a reappearance at Epsom nearly 4 weeks ago. Settled behind the leaders he was simply pushed out for a decent win (runner up finished second at Newmarket yesterday off 79). Stable had the runner up last year and this one should go well at a price. The trends seem to point to Sir Michael Stoute's recent winner MEKONG who won an informative Leicester maiden last time out although there are a number of other lightly raced runners who score well on the stats. A number of these have very close form ties with each other and working through all the lines it would seem COMMUNIQUE, HE'S AMAZING and MASTER OF WINE would all have good prospects here. At the respective prices I particularly like the chances of Andrew Balding's bottom weight and will make him my best bet for the race. That piece of work was a craftsman at his best. I take my hat off to you sir.